This award winning property has been recognized for its high standards and service set in a perfect location for a honeymoon or couples getaway. 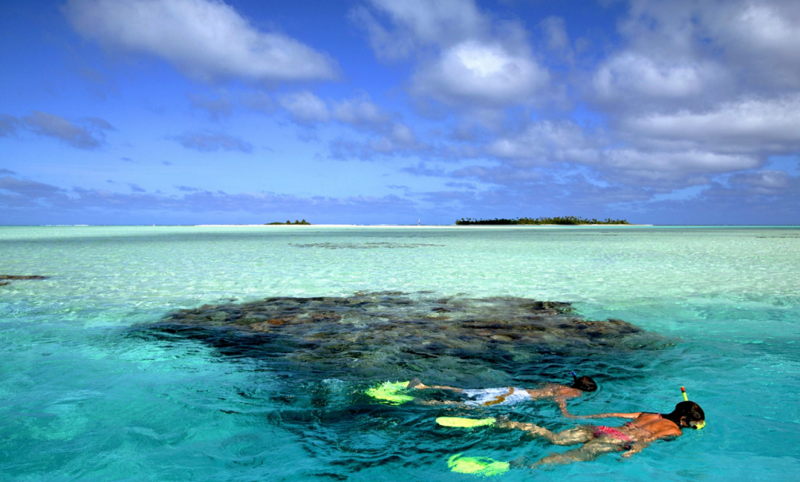 An absolutely stunning boutique resort surrounded by the crystal clear waters of the Aitutaki Lagoon. The resort offers 27 luxury rooms; a choice of beachfront bungalows and villas, all air-conditioned and situated on a beautiful beachfront location with its own private sundeck. Sip on a refreshing cocktail and enjoy a casual meal poolside at the popular Black Rock café, or take in the magical panoramic view from a table at Rapae Bay Restaurant, perched high above the lagoon. Sample mouth watering Pacific and international cuisine and world-class wines while watching the sun set on another day in paradise. Ex. Sydney from $3,625. Ex. Melbourne from $3,750. Ex. Brisbane rom $3,850. Valid for travel 01 November 2017 – 31 March 2018. High season surcharges apply. Minimum 6 night stay required to receive room credit & return free air transfers Rarotonga/Aitutaki/Rarotonga (valid on specific services only). Prices shown are a guide only, based on low season availability & subject to change. Price per adult, twin share based on Air New Zealand Airways sale fare, valid for new bookings only. Other conditions may apply. Speak to Platinum for more terms and conditions.